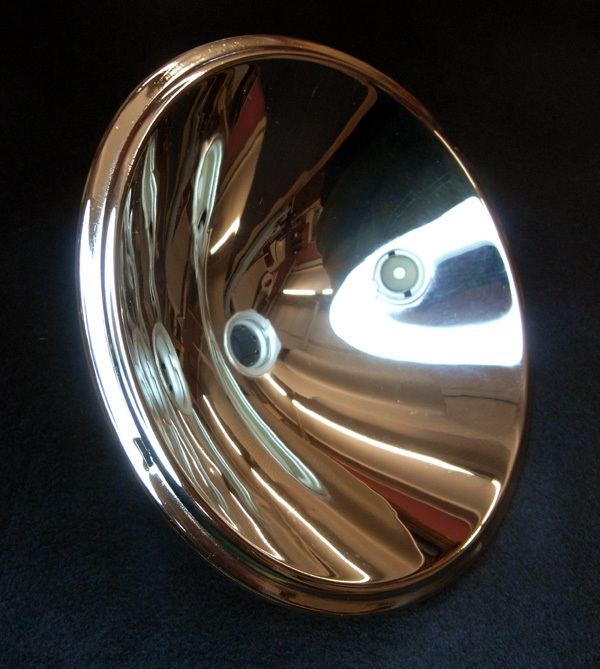 A vintage motorcycle head light reflector restored and bright nickel plated. Our main nickel solution is an electrolytic levelling solution, which produces very bright shiny deposits. Often applied as an intermediate layer, it is our solution of choice for decorative objects. Many items we routinely work on such as iPads/iPhones are nickel plated prior to gold plating. Nickel is very hard wearing and tarnish resistant. a general purpose electroless solution, it is suitable for many technical applications where equal deposition especially of intricate shapes and internal surfaces is important. Produces a semi bright nickel deposit. the solution of choice where maximum corrosion protection is required.